Anyone using Facebook will know that it’s quite annoying losing a good chunk of screen real estate to the adverts on the right hand side. Of course, many others think so and there is a nice extension that will block various adverts around the internet including Facebook’s own. Now, I’m not going to get into the morality of blocking adverts on websites here – I’m simply showing you how to do it. If the internet goes bust, it isn’t my fault. Firefox should restart – so now we can use a subscription to block the adverts. 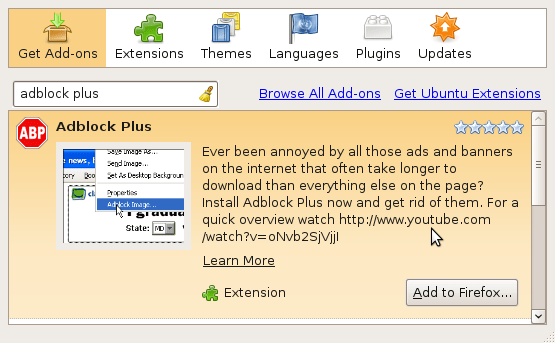 If the Welcom to Adblock Plus window doesn’t open, click on Tools > Add-ons > Adblock Plus > Preferences. Click on Filters > Add filters subscription. 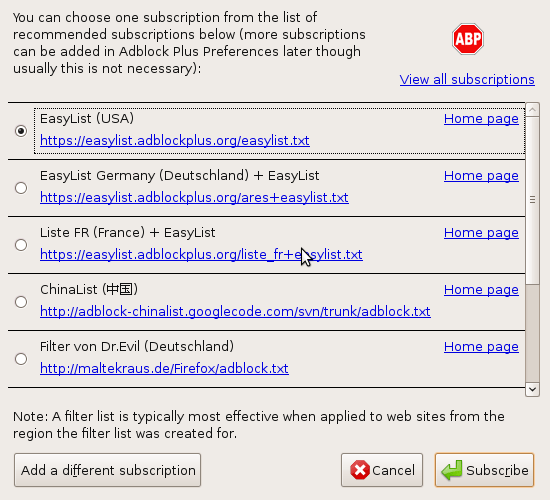 Select the Easylist USA option and click on subscribe. That’s it! Now that you have the ad filtering installed – Facebook should now be advert free in the right-hand side of the page.